Prerequisite for reading this blog: you should be familiar with how to work with ABAP unit test framework. 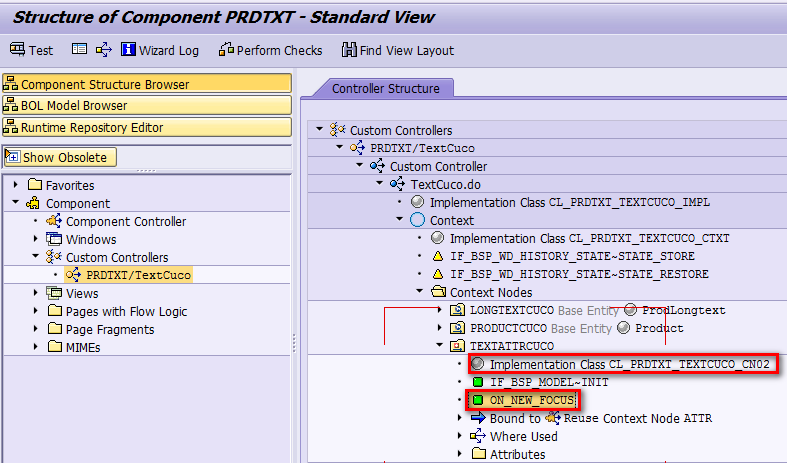 In this blog, I copy the standard class CL_PRDTXT_TEXTCUCO_CN02 into a local class ZCL_PRDTXT_TEXTCUCO_CN02 and generate test class based on the latter. The same approach could be applied to the standard class for sure. Since usually we will manipulate private attributes of CUT ( class under test ) so insert the following code into header part of local test class, so that local test class can modify private attributes of CUT. 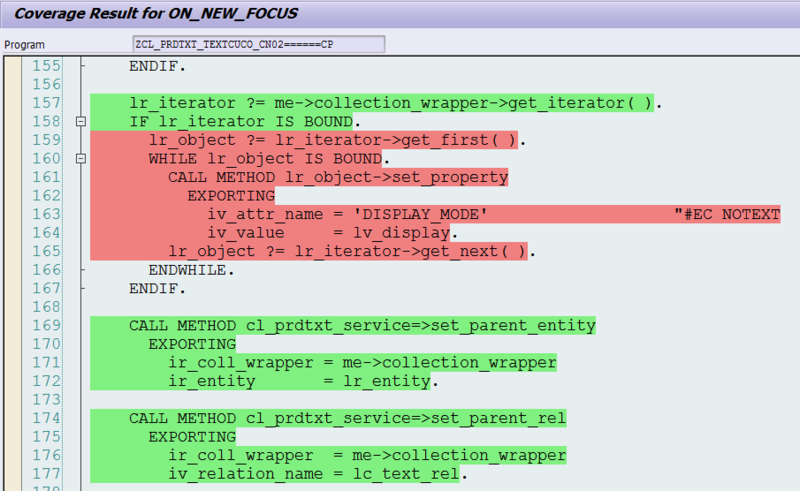 Check the source code of tested method, the reason is in our local test class, we didn’t pass a valid value for parameter FOCUS_BO, so the method directly return when its first line is executed. iv_key = get_sample_data( )-product_guid ). rs_data = VALUE #( product_guid = '0123456789123456' product_id = 'I042416' product_type = '01' ). 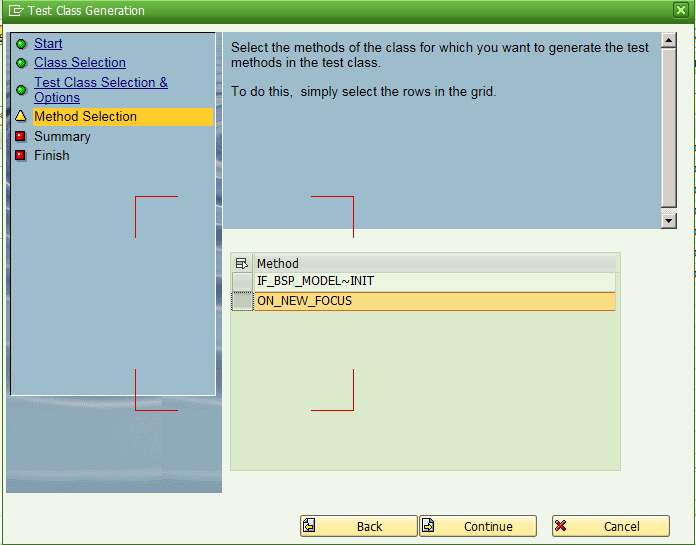 DATA focus_bo TYPE REF TO if_bol_bo_property_access. The source code of zcl_prod_unit_test_tool could be found from this blog. The reason is in line 42, the method being tested tries to read product with a valid guid, unfortunately in my test code I have passed a fake guid ‘0123456789123456’, thus not_found exception is raised. 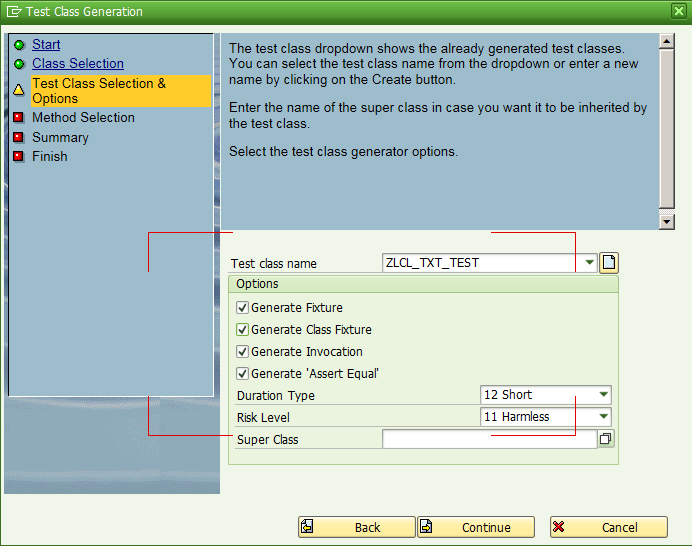 Change get_sample_data in local test class as below, which can ensure the product_guid is always valid since it is read from DB table. SELECT SINGLE * INTO ls_prod FROM comm_product WHERE product_type = '01'. rs_data = VALUE #( product_guid = ls_prod-product_guid product_id = ls_prod-product_id product_type = '01' ). Now the unit test could pass successfully, however still some statement is not executed at all. Those unreached statements are marked as red. 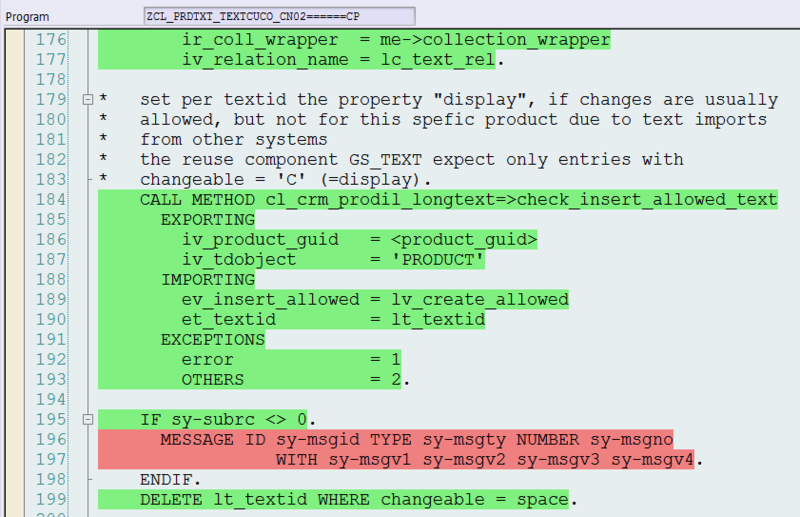 The reason is there is no entity contained in collection wrapper. DATA: lr_attr TYPE REF TO crmst_uiu_text_attr. DATA(lr_value) = NEW cl_bsp_wd_value_node( lr_attr ). The whole source code could be found from here.